Students in our program become educated and practiced in all aspects of the design process as they work towards articulating their designs verbally, visually and digitally. Our program is structured to challenge and inspire students by incorporating artistic, technical, and theoretical elements into a practical approach to the Fashion Design Industry. The curriculum will also communicate the importance of critical thinking and communication, as well as the historical, socio-economic and environmental context of fashion. Students will build a portfolio of work and gain professionally-oriented training that will help advance their transfer to a four-year school or job search. The Fashion Design program has articulation agreements with Marist College and SUNY Oneonta for those interested in transfer. 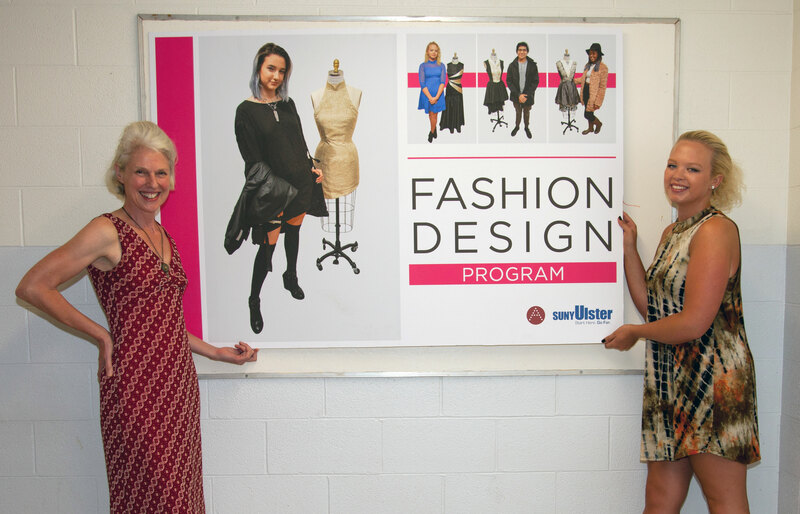 The art department and SUNY Ulster’s Transfer Office can counsel students who want to transfer to other schools to continue their fashion design education.